If there’s one thing better than tiny replicas of real things, it’s tiny replicas of real things made out of lego. If I had had these as a kid, well.. I’d have probably just swallowed them. Some things you don’t appreciate when you’re a kid. I read with great interest.Thanks you for sharing. I enjoyed..
Now these are sweet, Mr Oes Tsetnoc must have one! 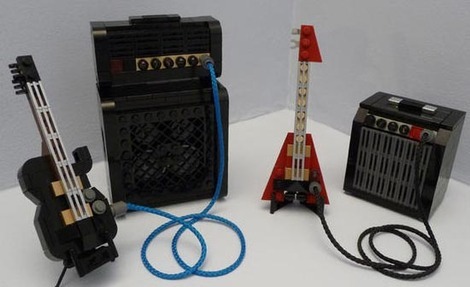 these guitars are really cool gadgets, very nice art from LEGO!